MainAll NewsInside IsraelNetanyahu 'Softening' Ministers for Concessions? Netanyahu 'Softening' Ministers for Concessions? One minister defines personal meetings as 'softening talks' to rally support for highly controversial truce conditions with Hamas. 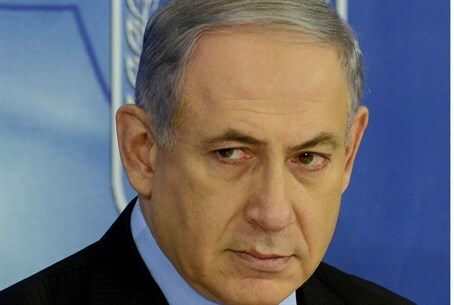 Prime Minister Binyamin Netanyahu held personal talks with party chairperson coalition members Tuesday night to update them on the Cairo truce talks with Hamas, and according to reports, to prepare them to receive controversial concessions to the terror organization. The ministers Netanyahu met with included Foreign Minister Avigdor Liberman (Yisrael Beytenu), Finance Minister Yair Lapid (Yesh Atid), Economics Minister Naftali Bennett (Jewish Home) and Justice Minister Tzipi Livni (Hatnua), along with Security Cabinet member and Communications Minister Gilad Erdan (Likud). One of the ministers reportedly defined the meetings as "softening talks" to accept concessions to Hamas, according to Yedioth Aharonoth. In fact, Netanyahu's private meetings came in place of a security cabinet meeting which the prime minister called off, indicating his attempts to rally support for a potentially highly contentious truce agreement. According to the details about the truce conditions Israel has reportedly agreed to in order to stop the terror war launched by Hamas, Israel would pay the salaries of Hamas officials through a third-party country, and the siege on the terrorist enclave of Gaza would be lightened, reports Yedioth Aharonoth. The fishing zone for Gaza would be expanded by six nautical miles, and building materials would be sent in under supervision, despite the fact that cement transported to Gaza helped Hamas build a massive network of terror tunnels used in the operation to kill IDF soldiers. Israel is also reportedly close to agreeing to double the amount of trucks bringing materials to Gaza through the Kerem Shalom Crossing to 600 per day, as well as increasing the monthly amount of entry permits to Israel from the Erez Crossing, and expanding criterion for Gaza residents to enter Israel, Judea and Samaria. As for what Israel gets in return for the numerous concessions, reports have yet to specify what exactly is being offered. One thing they do suggest is that the truce deal does not include a demilitarization of Gaza, despite calls to do so. Will Netanyahu convince the ministers? Despite the private talks Tuesday, it remains to be seen whether the ministers will be "softened" by Netanyahu's meetings. Bennett already voiced his opposition Monday to paying the salaries of Hamas officials in Gaza. The minister said "it is impossible to fight our enemy with one hand and to fund it with the other." Likewise Liberman on Monday came out against Israel caving in to Hamas demands, such as funding Hamas and allowing a Gaza sea and airport, stating that Hamas must not leave the clash "with a feeling that terror pays." For its part, Hamas has bragged of holding negotiations with Israel "at gunpoint," and clarified that even if a truce is reached, it would only be so as to prepare the next terror war on Israel.